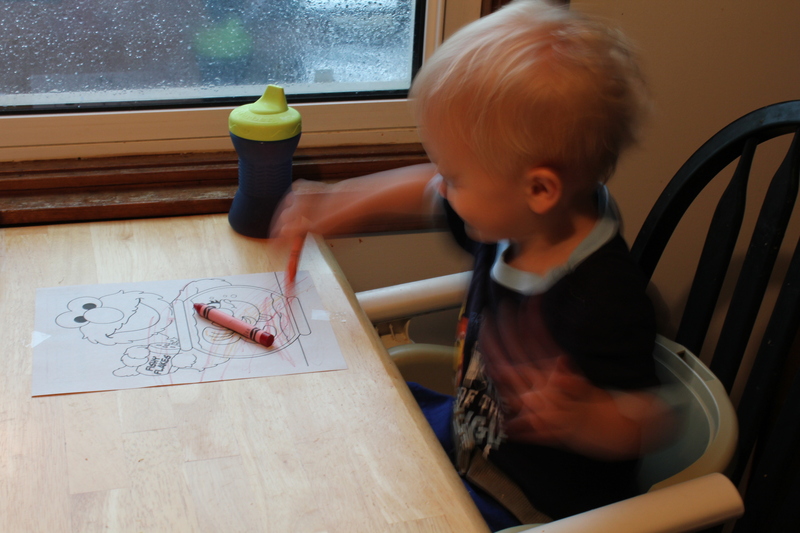 I used to love rainy days…until I had my hyper toddler. 😉 It’s so hard to keep her entertained. 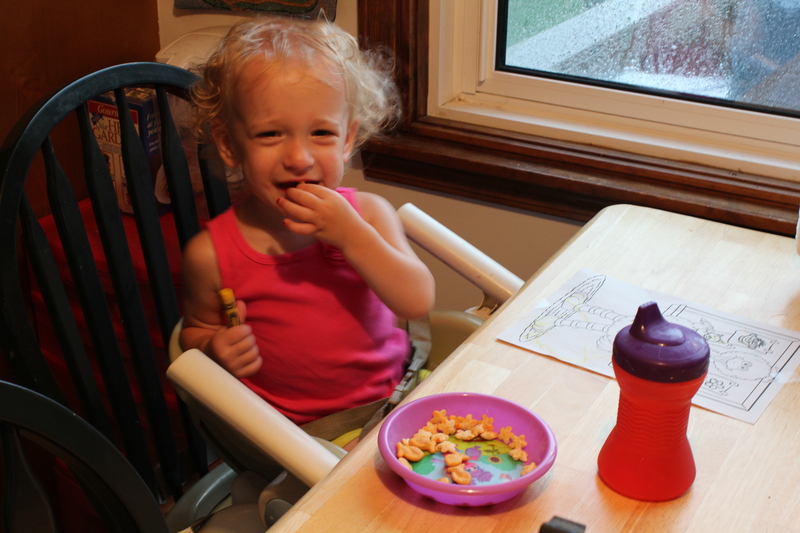 She loves to color but sometimes gets a bit of a snack while doing so. I always have to remind her not to put them in her mouth. I wish I could call my hubby and tell him he needs to come home early sometimes. Well, I guess I could tell him…..but he’d just laugh. There’s no way he could leave early. It’s so nice to hear you like runnng! I wish I liked running more, especially because it’s so good for you. I think the scale should take into account how lean you must be now. 😉 Happy Tuesday! I know, but if I don’t do the body test it yells at me that I didn’t exercise! I think the scale should take into account different body parts…my legs, arms, and waist are quite toned (if I do say so myself), but my belly (damn C-section) is not going anywhere. I need a tummy tuck! LOL.